You are at:Home»News»Documentary captures life, legacy of Savannah community activist, the Rev. Bennie Mitchell Jr. He says a simple gift to his late father, the Rev. 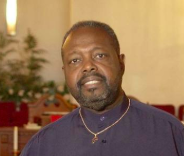 Bennie Mitchell Jr., would later provide a treasured video history of some of the most significant moments of his father’s life as a renowned Savannah activist and preacher. He began using the camera at age 12 to capture significant moments in his father’s career and civil rights advocacy.